The category of American food in Austin covers a large territory. 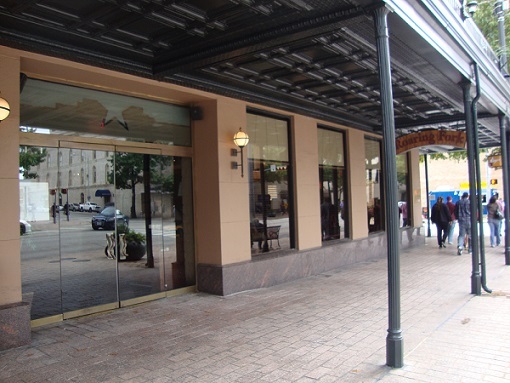 Everything from local Texas cuisine, to Southern cooking, to traditional American comfort food is included here. American food is one area in which you’ll find an ample selection to choose from. As you sample various places, and skim web sites and online menus, you'll soon pick out your favorites. Below are some promising choices to start with. Trendy, upscale decor with cuisine to match. Unusual combinations of ingredients result in unique culinary creations. A popular dish is Grilled Chicken Oscar topped with lump crabmeat and served over lemon butter sauce with fresh grilled asparagus spears. The kitchen staff also puts new, creative twists on some traditional country dishes. Fried green tomatoes with crab remoulade topping. Blackened catfish over dirty rice topped with shrimp and crawfish gumbo. Some other good entrees are shrimp and crawfish pasta with cheese tortellini and mushroom brandy cream sauce; blackened fish Ponchartrain topped with shrimp, crab, and crawfish in mushroom brandy cream sauce; and onion crusted Chicken Benjamin, topped with crispy prosciutto, swiss cheese, and sautéed crawfish. Good service and large servings. 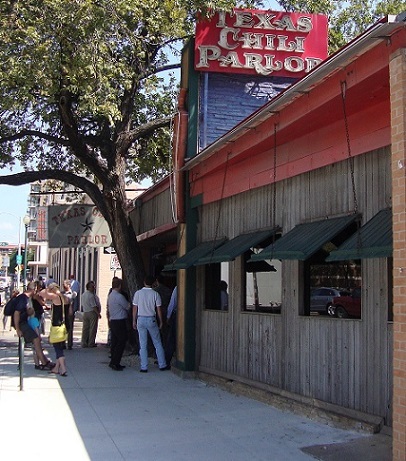 A popular place for Texas cooking. Atmosphere and decor are like a small-town Texas bar. Chili is the main feature here. It’s Texas-style chili: no beans, onion, or pepper, and little tomato sauce. Mostly bite-sized chunks of beef that is slow-simmered until it’s fork tender. The chili is available in a bowl, as a frito pie, as a burrito filing, or with a burger. It comes in three levels of spiciness. They also serve other dishes including enchiladas, burgers, and salads. The gumbo, frito pie, and chili mac and cheese are good. Interesting place just for the decor and atmosphere. A basic, but well decorated cafe with good, solid food. Some tasty choices are the grilled chicken sandwich with mozzarella cheese, the mac and cheese, Thai steak salad and Ahi Tuna salad, and the seared Yellowfin tuna. Also the roasted tomato soup is suggested. All locally sourced, organic foods. Lots of gluten free choices. Fast service and very reasonable prices. Good place for satisfying, healthy, inexpensive eating. A small neighborhood pub, but families go there also. Dark inside seating and outdoor patio seating available. Standard pub furnishings: pool table, arcade games, juke box, large screen TVs, friendly bartenders, beer on tap, burgers, sandwiches, fries. The Cobra, with bacon, jalapenos, and chipotle mayo, and the Ends burger with blue cheese and hot sauce are good. Rustic, relaxed, romantic dining out in the hill country near Lake Travis. For appetizers, good choices are the lobster bisque, the sesame and almond crusted crab cakes, and the venison proscitto wrapped sea scallops. Recommendations for entrees include the crunchy trout and the pecan smoked duck breast with seared scallops in wild boar sweet potato hash. If you’re feeling adventurous, there are some unique selections such as the 7 oz mixed grill (venison, buffalo, quail, rabbit, and spicy game sausage) and the smoked elk backstrap topped with jumbo lump crabmeat. Good service. The place does gets crowded though; tables are kind of close together. Also the parking lot is not paved and gets full, so sometimes you have to park in the darkened lot next to the restaurant. Good food, large servings, and reasonable prices. Convenient downtown location. Well decorated. Can get loud at lunchtime. The green chili mac and cheese is delicious and a little spicy. The lamb shank is popular here; moist, well flavored and tender. They also have good salads, including the cobb salad and shrimp and avocado salad. Cheesecake is creamy and soft. Excellent service. An Austin institution on the east side. 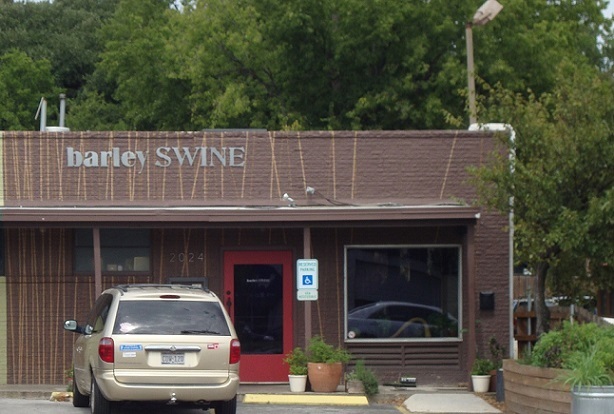 Well known for great Southern comfort food. Chicken fried steak, fried catfish, charbroiled lemon pepper fish, smoked chicken and sausage, bbq meats and ribs, mac and cheese, salad with homemade dressings, mashed potatoes, cole slaw, beans, and candied yams. Consistently well made and delicious. Homey, comforting atmosphere as well. Not located in a great part of town, though. Not the place to come if you want to be seated in a hurry, but it is the place to see American cuisine raised to an art form. Menu changes daily and each dish is exquisitely prepared, with a creative mix of flavors, and almost looks too pretty to eat. Scallop dishes, when offered, are good: tender and well-seasoned. They also have good egg dishes from locally sourced chicken and duck eggs. A recent offering was soft scrambled duck eggs with white potatoes, radish slices, goat cheese and green bean salad with arugula and lemon. A small restaurant with fewer than 50 places and they don’t take reservations. View the maps below for other American restaurant choices around town. Click here for a list and map of Austin American restaurants (opens in a new tab). District Kitchen and Cocktails, a south Austin restaurant serving contemporary American cuisine, was named by Open Table Inc. as one of the Top 100 Neighborhood Gem Restaurants in America. Eden East, an east Austin farm-to-table restaurant, was selected as one of the Top 100 Best Outdoor Dining Restaurants in America. The selections were based on over five million diners' reviews between mid-2013 and mid-2014. Each was the only Austin restaurant picked in its category and one of four in Texas. The reality show Bravo recently finished filming at four Austin restaurants for Best New Restaurant, a new show produced by chef Gordon Ramsay and hosted by “Top Chef’s” Tom Colicchio. The restaurants featured are Barlata Tapas Bar, Porter Ale House Gastropub, Restaurant Jezebel, and Swift’s Attic. Besides Austin, the show also filmed at four restaurants each in Los Angeles, Miami, and New York. Tell Us Your Favorite American Restaurant! Do you have a favorite American restaurant in Austin? Or do you have a story about a restaurant, maybe one of the restaurants listed on this page? Tell us about your favorite restaurant, or share your story here.